Bertolt Brecht is often quoted as saying that art is not a mirror held up to reality, but a hammer with which to shape it. A less idealist view holds art as mirror and art as hammer as two sides of the same coin rather than a dichotomy. Art cannot entirely transcend the social conditions of its creation; but as a creative imitation it is more than a carbon copy of its social world. 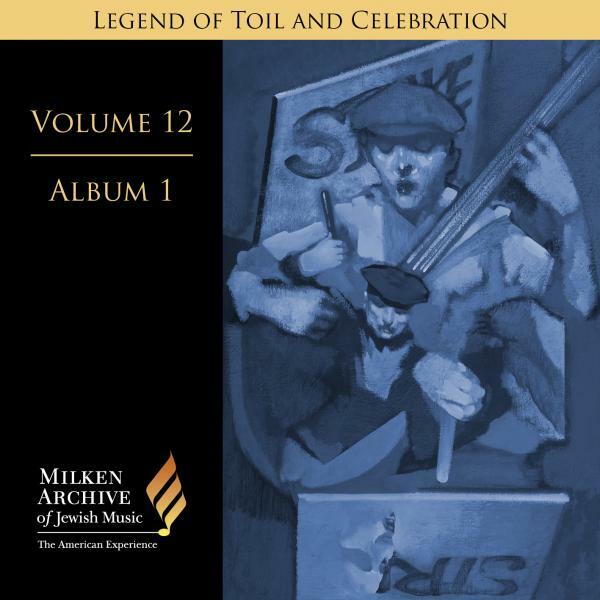 The music in Legend of Toil and Celebration provides an opportunity to reflect on this notion, and to explore an aspect of the immigrant experience quite different from that explored in the following volume on the American Yiddish theater. Between the years 1880 and 1924, America witnessed the immigration of more than 2,000,000 Jews. Mostly from eastern Europe, they came to the “golden land” in search of refuge and fortune. (See Neil W. Levin’s introduction to this volume for more on the immigrant era.) But while America may have been a haven and a land of "golden" opportunity, success wasn’t always easy to come by. Far more plentiful than the family trading business turned Wall Street mega-firm were the throngs of workers who toiled in the sweatshops for low wages while living in overcrowded tenements. Naturally, the music of the era was, metaphorically speaking, contrapuntal. Which is to say that while there are songs that portray the optimism of a new life in a land of freedom (Amerike mayn vunderland; I Love You O America) in this volume, there are darker shades as well. “Don’t look for me where myrtles grow . . . where birds sing,” intones sweatshop poet Morris Rosenfeld in Mayn rue platz. “You will not find me there.” For many workers, sweatshop labor was more like a death sentence than a path toward upward social mobility. “Where chains clang . . . where tears flow and teeth gnash,” he continues. “There you will find my resting place.” It’s a sobering, evocative refrain. Composed in the wake of the Triangle Fire, it reminds us that references to death in sweatshops are not always metaphorical. But music was more than an expressive outlet for immigrant-era life; it also helped cement workers’ commitment to the struggle for fair wages and sound working conditions. “Oh good friends, when I die,” exclaims the protagonist of Mayn tsavoe. “Bring our [blood-stained] banner to my grave, . . . And there under the red Banner, sing my song to me, my freedom song.” Such expressions demonstrate more than a practical or purely self-interested engagement in workers rights. They reflect a prevalent ideology of social equity in an era when “communism” and “socialism” weren’t considered four-letter words. Of course, the era was not only about struggle and triumph. The transition to life in America and the challenges it presented to religious identity and observance required, above all, adaptation. Illustrating the transformation of religious rites into secular events focused on community and social solidarity is the Milken Archive’s rendition of a Third Seder of the Arbeter Ring, while Pyramidn and Oyb nit nokh hekher show how religious narratives were sometimes recast in a secular humanist light. As songs of toil and celebration, they echo an era of fortune and failing, of struggle and resignation, of acquiescence and dissent, of assimilation and resistance. It is in that sense that this music both reflected the immigrants’ reality and helped to shape it. For it was also Brecht who said that all art forms are in the service of the greatest of all arts: the art of living.